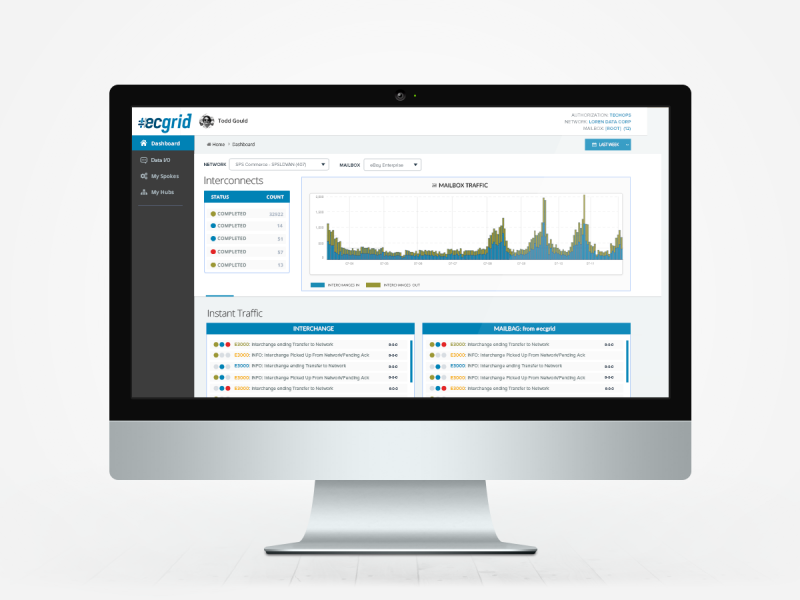 ECGrid allows Service Providers, Consultants, VARs, SIs and ISVs to establish their own EDI network and plug their clients into world-class, managed mailboxes. We bill a Unified Flat Rate per Trading Partner Pair (TPP: unique sender/receiver ID pair) that has interchange traffic for the month, regardless of number of transactions, kilocharacters* or communication path (e.g. VAN Interconnect, AS2, X.400, etc.). If a TPP has no activity in the month, then we do not bill for it. Best Pricing means that with ECGrid you subscribe to the entire schedule, not to a specific rate plan. There is no guessing which plan you should be in; you will always get the best rate. Each month, the active TPPs are totaled up, then that number is then applied to each category. You pay for the category with the lowest calculated price for that month. We offer two variations of this model plus a wholesale KC model to best fit you and your customers’ needs. Our world-class NetOps team will get you up and running quickly! Unlimited Mailboxes and hosted AS2 included with all accounts! Create Your VAN - Today! All your customers get free Hubbub access! Start Your VAN - Today! Get deeply integrated with ECGridOS web services API! Be the VAN - Today! *The Developer Program provides a leg up on getting started with ECGrid. This outrageously low price is good for the entire first year you are on ECGrid. After the first year, the lowest billing level reverts to Medium.